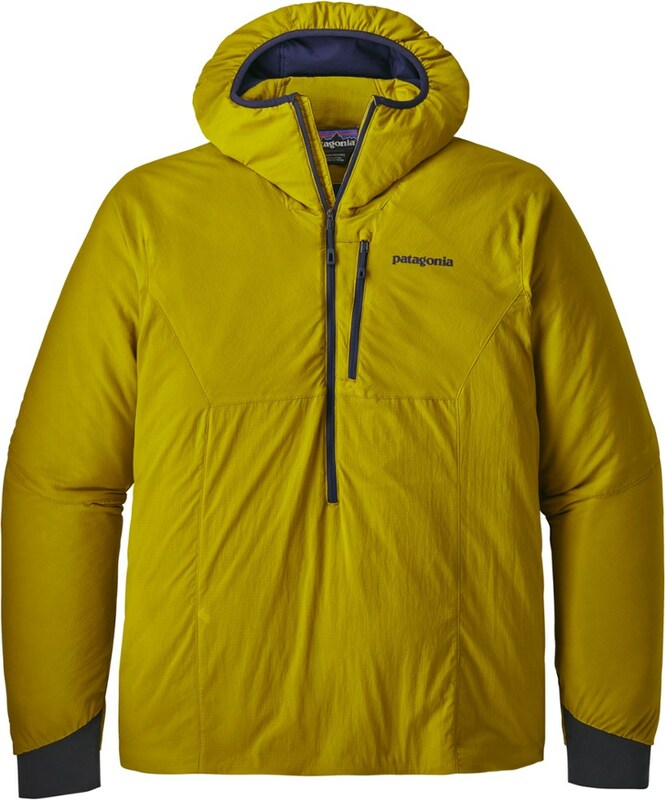 For climbers, skiers and runners who live for continuous alpine motion, the men's Patagonia Nano-Air Light Hybrid hoodie provides just the right amount of warmth and protection from wind and weather. 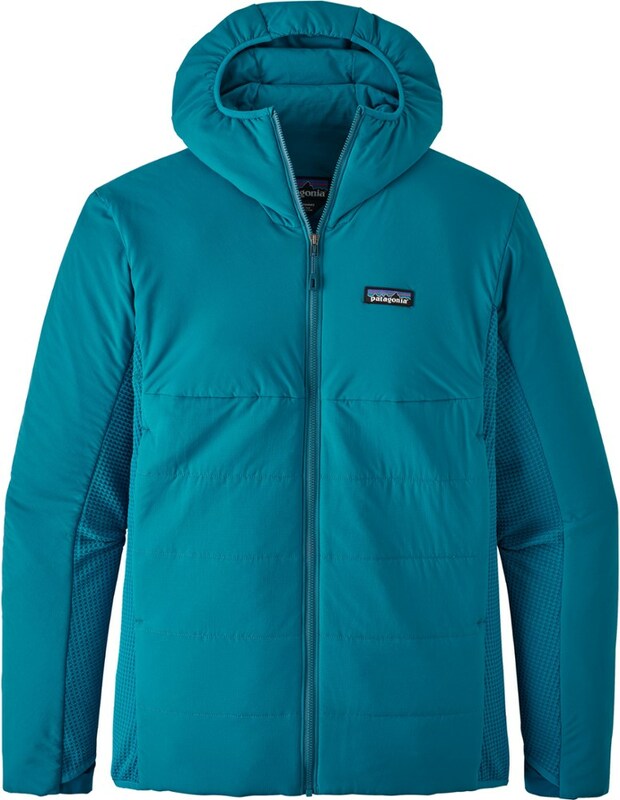 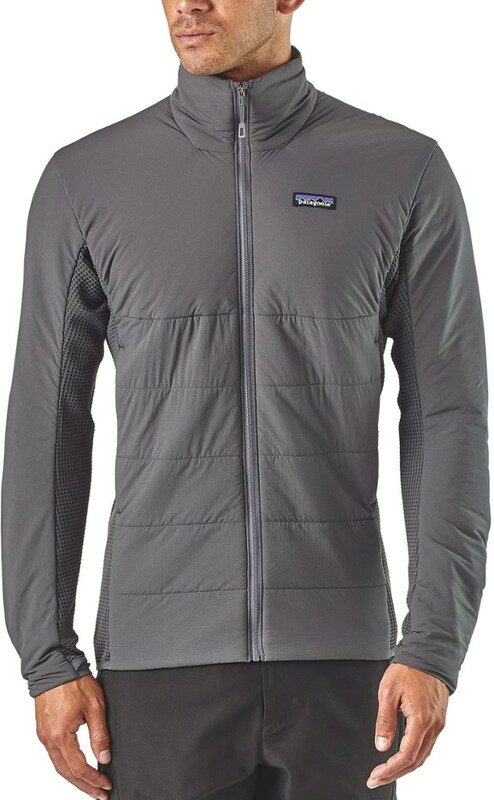 Patagonia's new Nano-Air Light Hybrid Hoody provides just the right amount of warmth, wind- and weather protection via a light layer of stretchy and breathable FullRange insulation (40-g), wrapped in a lightweight yet durable shell with DWR (durable water repellent) finish. 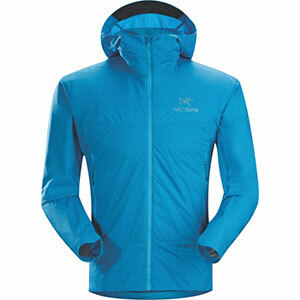 On the back, a super stretchy, airy waffle knit swiftly wicks moisture, controls odor and dissipates heat. 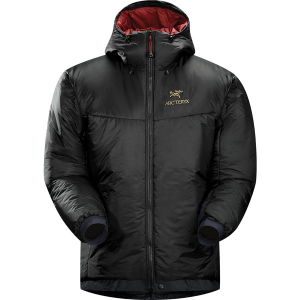 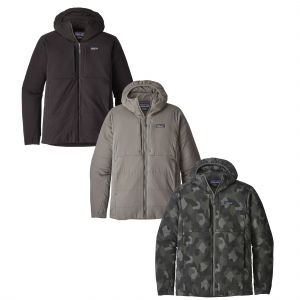 All of this keeps you comfortable when youre charging hard in a range of conditions. 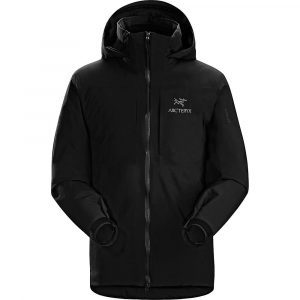 Other details include a sleek center-front zipper with a zipper garage thats easy on the chin, stretch-knit cuffs with discreet thumb holes to ensure critical coverage, low-profile zippered pockets for comfort under a harness or pack and a stretch binding hem to seal in warmth.